Supermarket giant Coles will spend $950 million over next six years building two state-of-the-art automated distribution centres in a high stake bid to keep pace with arch rival Woolworths, reports The Sydney Morning Herald. The new identical 70,000 square metre Coles warehouses—one in Redbank, south west Brisbane, and the other in Kemps Creek, western Sydney—will include state-of-the-art automation technology developed by German automation specialist Witron. 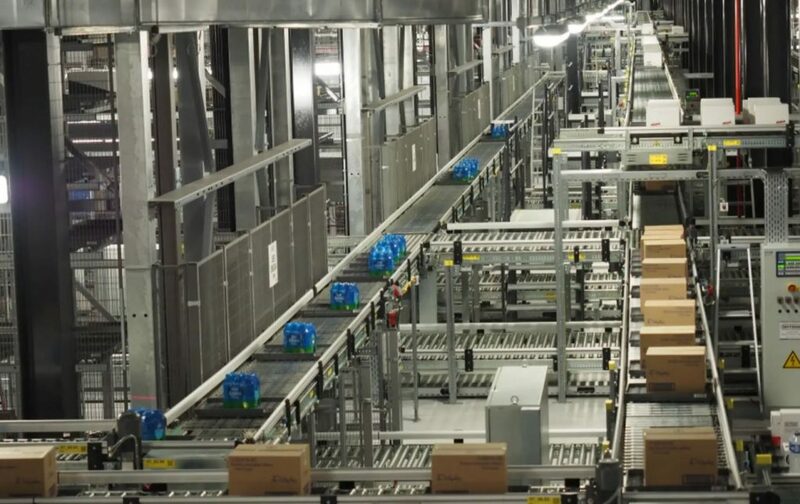 The shuttle and conveyor belt technology within the new 66,000 square metre high bay warehouses—the size of about nine soccer pitches laid side by side—will require very little human involvement, a growing trend globally within the industrial sector as retailers seek greater efficiencies in their supply chains, says the AFR. The new warehouses would be “95 per cent automated,” said Matt Swindells, Coles chief supply chain officer. “Compared to a manual warehouse, these new automated warehouses will be able to handle twice the volume of goods on half the footprint. It’s game changing,’ Mr Swindells said. The high-tech warehouses will handle distribution and packing of the supermarket’s dry groceries, rather than chilled or fresh foods new distribution centres, and will replace three existing dry goods facilities in NSW and two in Queensland. The upgraded warehouses will result in some job losses, Coles confirmed. The Queensland Times, though, reported the Redbank distribution centre will create hundreds of jobs over an initial 20-year lifespan. The agreement at Redbank still requires development approvals from Ipswich City Council, it noted. Coles boss Steven Cain said the new warehouses would provide a safer environment for workers, lower supply chain costs, enhance overall business competitiveness and make life easier for customers “by having the right offer in the right location”. The company will make a $146 million pre-tax provision in its December half result, relating to lease exit costs and redundancies at existing distribution centres which it will close over next five years.